Dr. Gance-Cleveland is the Loretta C. Ford Professor at the University of Colorado College of Nursing. 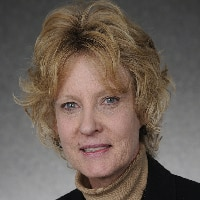 Her practice and research focus on decreasing health disparities in vulnerable populations by (a) advancing science for culturally sensitive care; (b) collaborating with professional organizations to develop evidence-based, culturally sensitive practice guidelines; and (c) use of technology to promote EBP. She initiated the Health Disparities Collaboratives on Asthma and Depression care at the Sheridan School-based Health Center, which led to dramatic improvements in screening, self-management goals, asthma-severity assessments, appropriate prescription of anti-inflammatory medications, and yearly pulmonary function tests in an SBHC, faculty-practice site. She chaired the NAPNAP research group evaluating evidence for the development of culturally sensitive obesity-prevention guidelines and participated in the AMA obesity-prevention expert writing group. She has been funded by NIH to evaluate school-based support groups for adolescents with an addicted parent, conducted a statewide CQI initiative for SBHCs, and evaluated outcomes of preschool SBHCs. She has worked with Drs. Gilbert to develop technology decision support to promote evidence-based obesity care in pediatrics. Prior to returning to CU in 2012, Dr. Gance-Cleveland was the director of the Center for Improving Health Outcomes in Children, Teens, and Families at Arizona State University that received over $12,591,592.00 of funding in five years. Since returning to CU, she successfully transferred a $1.2 million grant from AHRQ to conduct a mixed methods, comparative effectiveness trial (24 school-based health centers in 6 states) on the use of decision support technology to improve adherence to obesity guidelines; secured foundation funding to test a community-based obesity intervention in conjunction with the Sheridan School-based Clinic and collaborated with Heather Aldrich on her PCORI project focused on transition to oral feeding for infants with prolonged g-tube feeding. Dr, Gance-Cleveland is currently funded by AHRQ on an R21 to collaborate with CON midwives to develop decision support technology to screen and generate individualized education materials for risk and protective factors in pregnant women including weight status and related conditions, substance use, mental health, and protective factors (immunizations, vitamins, physical activity and sleep).